Jet skis are not a common sight in Saudi Arabia’s landlocked capital. 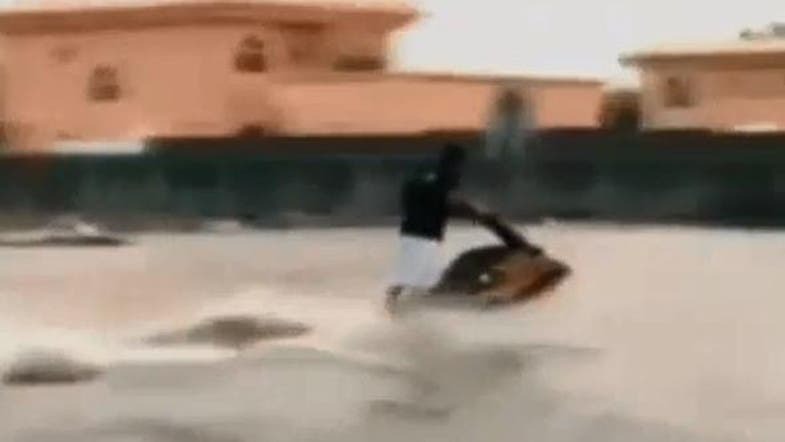 However, one individual took advantage of the flooding in Riyadh to drive his Jetski through waterlogged streets - an act likely to be envied by car drivers who are struggling to get around. The video, posted on Instagram, a social media network, became a hit with the site’s users shortly after it was posted late on Sunday. Riyadh, a city with a population of around 5 million, was deluged by heavy rainfall late on Saturday, disrupting road traffic and prompting authorities to close schools. Saudi Arabia’s Civil Defense urged people in Riyadh to remain indoors until the floodwater subsides.